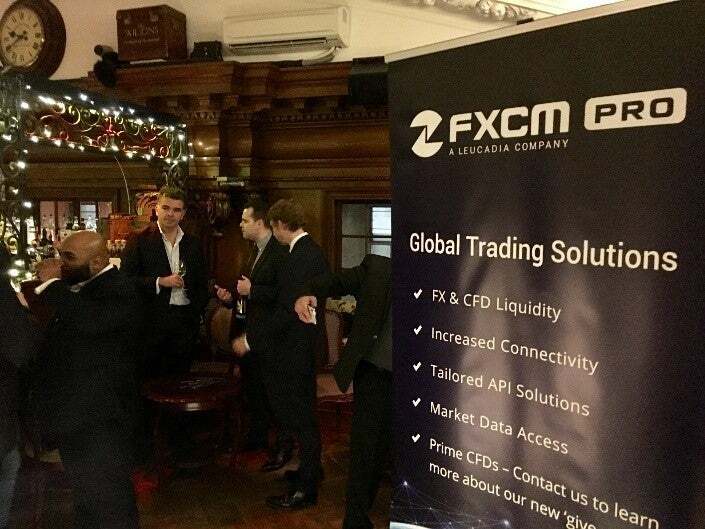 FXCM Pro offers wholesale execution and liquidity solutions for retail brokers, hedge funds and emerging market banks. Our relationships with tier 1 banks and non-bank liquidity providers, prime broker relationships, and technology vendors provide our customers with market access on an unrivalled scale. Live Spreads Widget: When static spreads are displayed, the figures are time-weighted averages derived from tradable prices at FXCM from July 1, 2018 to September 30, 2018. Spreads are variable and are subject to delay. The spread figures are for informational purposes only. FXCM is not liable for errors, omissions or delays, or for actions relying on this information. FXCM customers enjoy optimization in cash deployment through cross collateralization of their FX and CFD PnL. All customer positions are netted into one account, allowing for more efficient use of corporate cash. Through FXCM's scale as a leading provider of retail FX, FXCM is able to offer ticket sizes as low as 1k across all currency pairs on offer, with no additional fees. Leverage the FXCM technology team's ability to help optimize the connection between your clients and your servers. FXCM's FX model, and enhanced index and commodity CFD model is ideal for automated traders seeking a better execution experience. FXCM Prime caters to those customers who need market data and execution access across multiple trading venues, and who wish to settle such activity in one, centralized source, through one account. Our proprietary back office collects all trades done across a variety of ECN and single bank trading venues, providing clients a holistic view of their positions. Pre-trade and post trade credit checks ensure efficient and effective allocation of net open position (NOP) utilization. All FXCM Prime customers execute user agreements with each trading venue, paying trading commissions directly to each ECN. FXCM earns revenue through commissions collected from pre-agreed clearing fees. As a result, FXCM does not mark-up third party trading venues or receive trading "kickbacks" generated by third party ECNs. FXCM Prime behaves as does a tier one clearer, and thus is truly agnostic to your choice of trading venues. 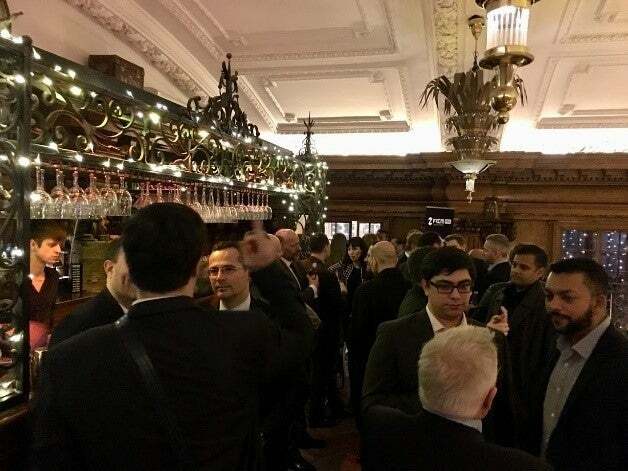 Maker and taker sessions available to trade through multiple execution venues such as Currenex, EBS, FastMatch, FX All, Hotspot, Integral OCX, SpotEX and several other ECN venues, as well as single bank platforms. All trading PnL collates into FXCM's proprietary back office where net positioning and PnL is displayed across all trading channels. Pre-trade risk management solutions performed on either maker and/or taker sessions allow our customers the ability to manage one NOP limit. No more need for intraday limit increases within single venues, FXCM issues a single top level NOP that is managed across all platforms. FXCM's Institutional API access offers professional and institutional users the ability to tailor pricing on a per instrument, per account basis. Based on customer mandate, FXCM's liquidity management team can source the most efficient liquidity providers and partnering venues to match your needs, be it single tickets on large orders, stickier pricing intraday on metals, and much more. Tailor Pricing per Instrument: Leverage FXCM's liquidity relationships, which have been built over one and half a decades. Mix and Match FXCM Core and FXCM Pro ECN: Utilize the many advantages of FXCM Core while customizing your needs for specific customer groups or singular instruments using FXCM Pro ECN. Access FXCM's Liquidity Management Team: Allow our team to use your trade data to source and match the best possible pricing versus fill ratios for your needs. Cross Collateralize all FXCM Accounts: Via several trading accounts, FXCM offers the ability to cross collateralize PnL for cash optimization. Benefit from economy of scale by partnering with FXCM to optimize connectivity to customers for servers hosted at FXCM. Achieve optimal service levels for your customers seeking both stable and consistent connections with low median latencies through unique and redundant connectivity options engineered by FXCM. Leverage FXCM's global footprint and FXCM's Technology Team's experience to host services on servers in an environment parallel to FXCM's production trading environments; Capitalize on ultra-low latencies achieved through co-location with FXCM's matching engines located in New York (NY7), London (LD4) and Tokyo (TY3). Benefit from the expertise of FXCM's production engineers for your own applications & services. Automate your trading and applications through API access via FIX, .NET, and Java; Functionality includes all orders types, streaming market depth, and reporting based API solutions. Learn more about our programming solutions. Gain access to FXCM's Ecosystem of partners and third parties to provide additional platforms and liquidity solutions. FXCM platforms and liquidity solutions are integrated to all major bridge providers, including OneZero, Gold-I, and PrimeXM. FXCM liquidity solutions are also integrated to a variety of third party technologies including ECNs, platform providers, and charting packages. FXCM offers many quality and cost-effective market data solutions. Historical FX and CFD bid/ask prices and application programming interfaces (APIs) let you develop, backtest, and automate trading strategies in a wide-range of software environments. Order flow, volume, trader sentiment, and other ready-to-go trading tools turn FXCM data into powerful market insights. Request data by filling out the client inquiry form. To learn more about our new CFD give-up business please contact info@fxcmpro.com. Over a dozen people strong, our team consists of veteran executives who have a long history within the FX and CFD space. Our Institutional Services desk centralizes all customer requests, offering expedited responses to inbound inquiries which range from API support to cash movements to custom appointments with our marketing or compliance teams. The institutional team covers all inquiries on a 24/5 basis and operate from offices in New York, Europe and Asia. The last quarter of 2018 was very exciting as we launched our new FXCM Pro website combined with a revamped and strong leadership team headed by Mario Sanchez, Managing Director and Global Head of FXCM Pro Sales. 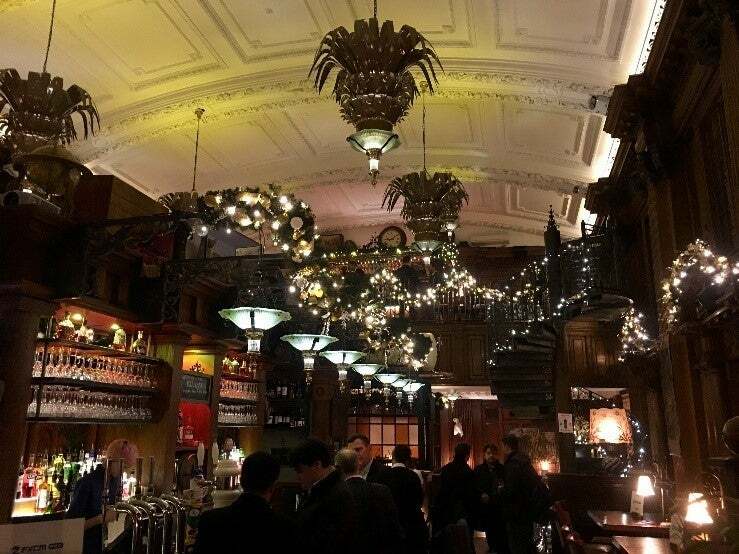 To celebrate, we hosted a party on 12th November 2018 in the heart of the City at the Trading House. A big thank you to everyone who was able to attend. 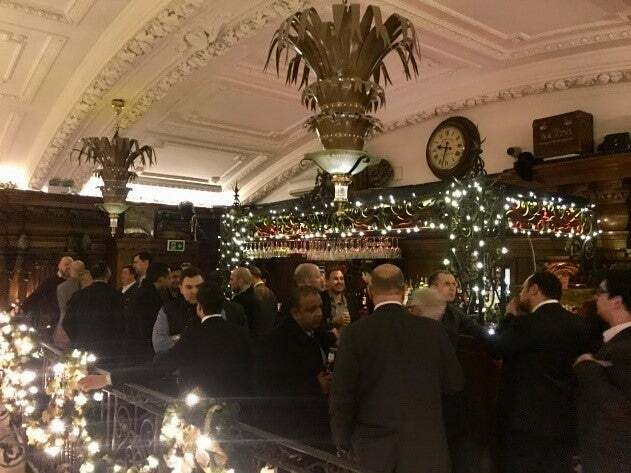 The 2018 London Summit brought together a host of industry leaders and professionals across two days of intensive networking. 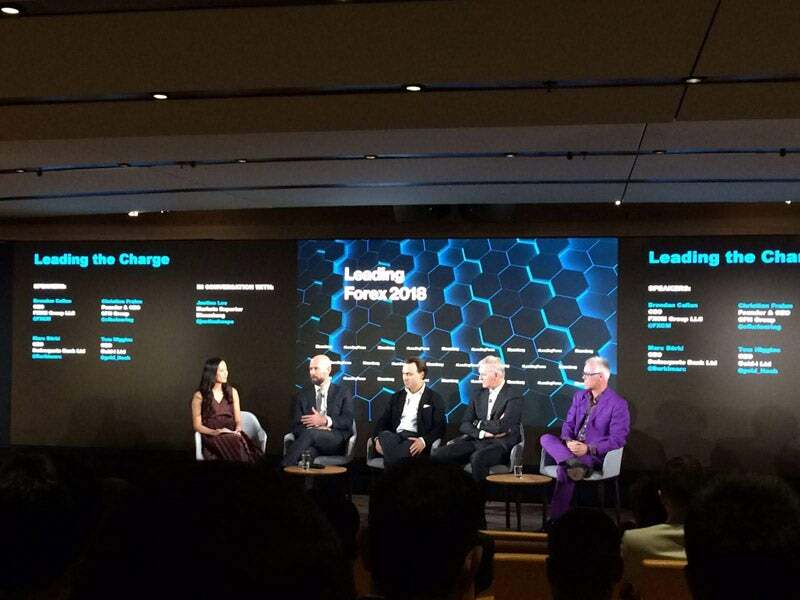 We had the opportunity to connect with many of our clients and partners, and our CEO Brandan Callan participated in the CEO Roundtable: Where is the Alpha? 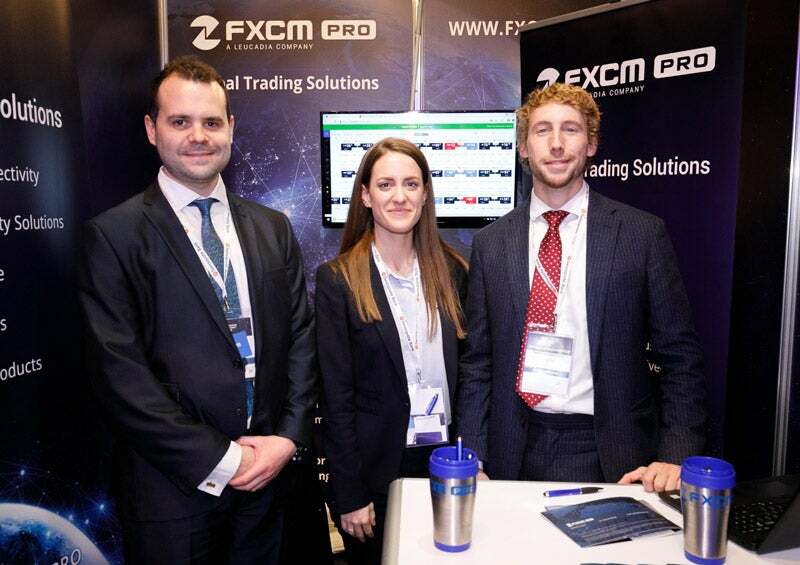 FXCM Pro was again proud to be an exhibitor at this annual event. No upcoming events posted yet, check back later. FXCM Pro may be taking photos and shoot videos at the FXCM Pro Events. These images/videos may be published to FXCM's official websites, Social Media Accounts, Press Releases or any FXCM's affiliate that will reproduce the FXCM Pro Events. By attending the events you understand that your images and any video recording may be published publicly.